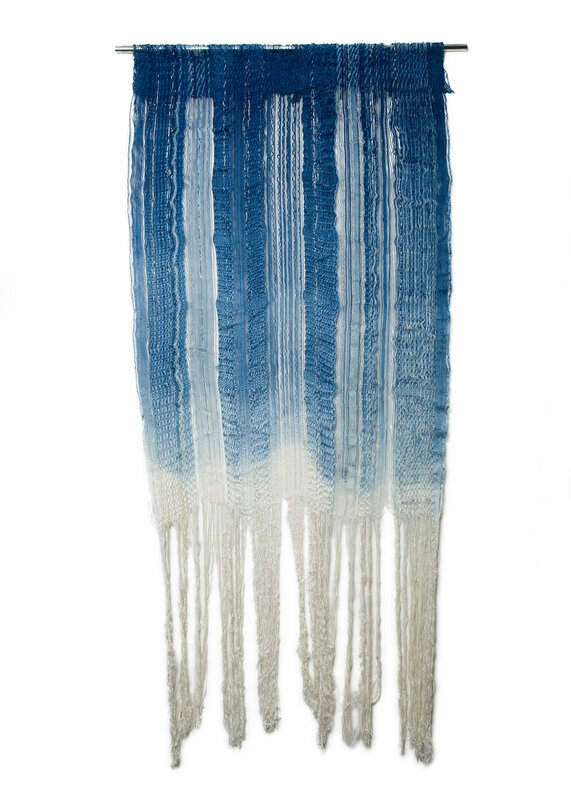 Silk, Cotton, Linen, Wool and Synthetic yarn hand woven and dip dyed in indigo. Please contact Jo to commission a similar piece. This piece is for sale. 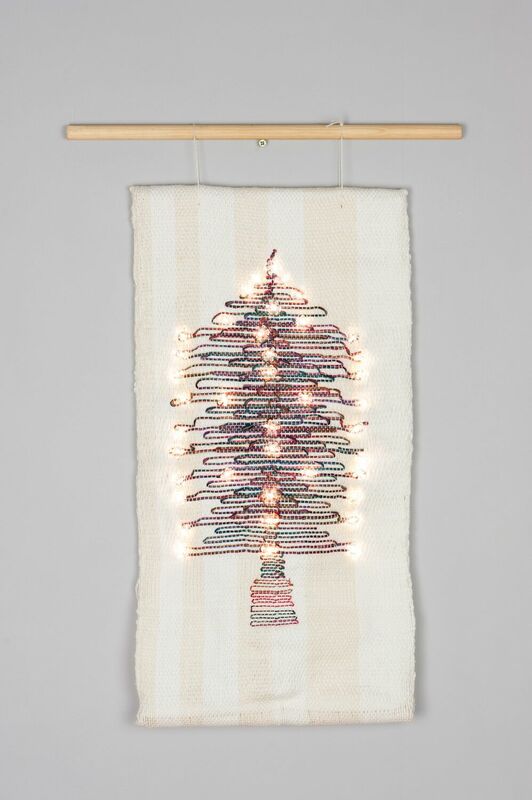 Cotton, Tensel and battery powered led lights. Hand woven. Batteries included.